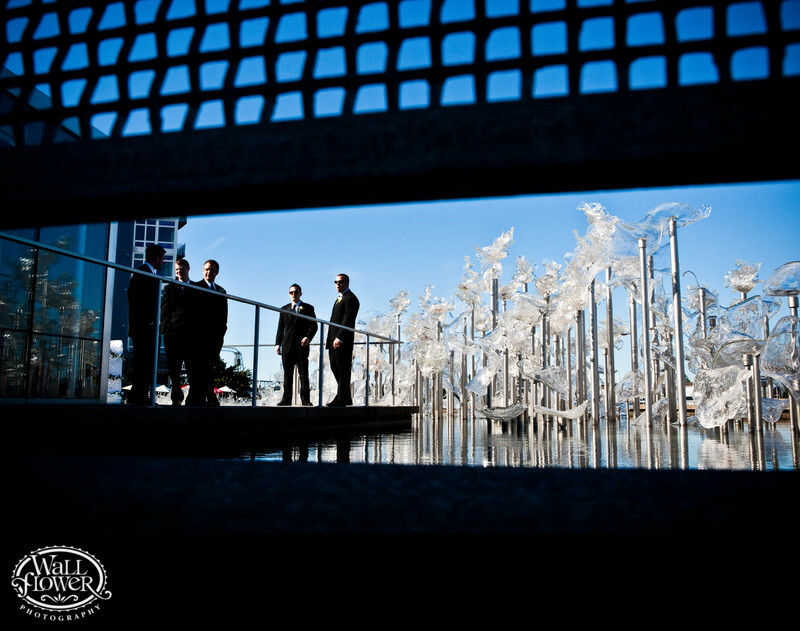 I found this unusual angle on the groom and his groomsmen waiting at the Museum of Glass for the wedding ceremony to start by taking a few steps down the stairs to the underground parking garage. All that glass art is called Fluent Steps by artist Martin Blank, and is a permanent exhibit in the reflecting pool on the MOG's Main Plaza. Around that corner is where most wedding ceremonies, including this one, took place, and you can find photos from several of them on this website, including in the Places and Details galleries.